Have you noticed a recurring motif in these blog posts? Look left. Over the last decade, JR’s full frame portraits have adorned streets worldwide. In 2006 his initially illegal Parisian project Portrait of a Generation gained official recognition. 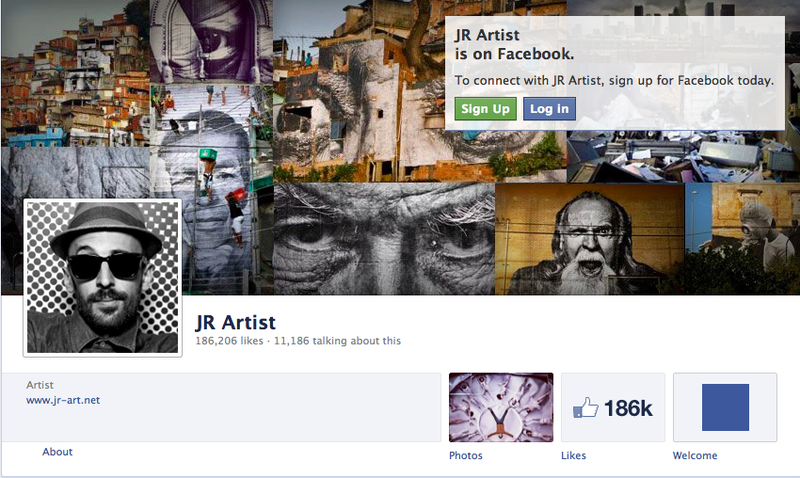 Thus far, JR’s Facebook page has 186,000 likes. Now, you may say that this blogger is too young to appreciate what life was like prior to such platforms. That she takes it for granted. Well, you would be right. In part. I’ve grown up hand-in-hand with the World Wide Web. Honestly, I can barely remember life before instant access to a wider, faceless, virtual community. But I don’t take that for granted. A long-lost conversation with my much-admired Art teacher, Mr Leighton, springs to mind. At fourteen, I was absentmindedly flicking through artists’ websites awaiting divine intervention, or inspiration. Inevitably, Mr Leighton came to check upon my progress. As I revealed tab after tab after tab of unknown, obscure graduates’ artwork he remained unusually silent. Finally, my teacher reminded me that a visually aesthetic website cannot guarantee an artist’s quality. And vice versa. Mr. Leighton encouraged me to really see the art before my eyes, rather than just look at a plethora of images. However, he also revealed that, as a young sculptor, he would have relished the opportunity to have had a website of his own. So, I want to mention Bridgeman Studio – a new online platform just weeks away from launch! You might call it formative experience but Mr Leighton’s words resonate in my mind today. In order to fully appreciate platforms such as Bridgeman Studio, that increase an artists’ exposure at the click of a button, it is vital to recognise how artists have previously gained recognition. 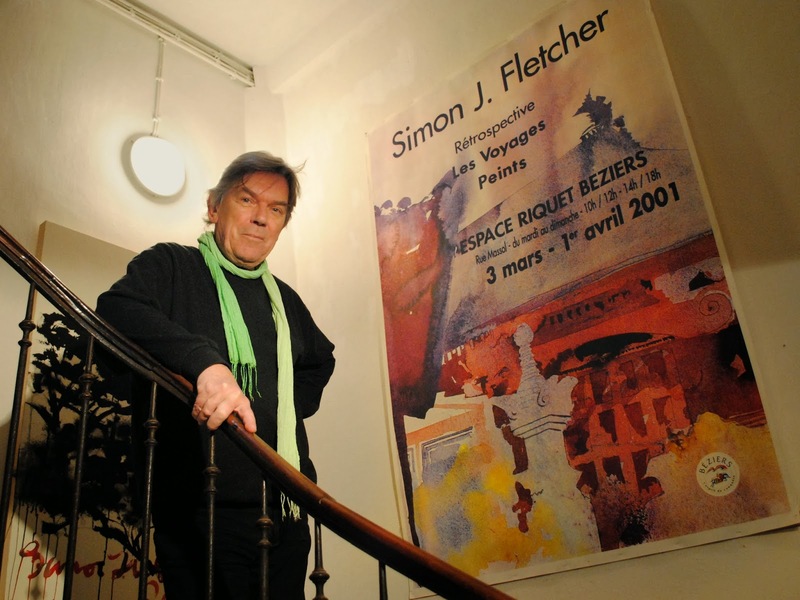 Let us consider the success of the painter and landscape artist Simon Fletcher. As an aspiring artist, I have been fortunate to spend some time with Simon and his charming wife Julie. Over a recent lunch, as we reflected upon Simon’s career, they shared a lifetimes’ worth of invaluable advice with me. I’d like to pass some of it on to you. Simon recalls his earlier years as an artist in England. Strangers often expressed astonishment that he could support his family through art alone. Sceptical? Don’t be. 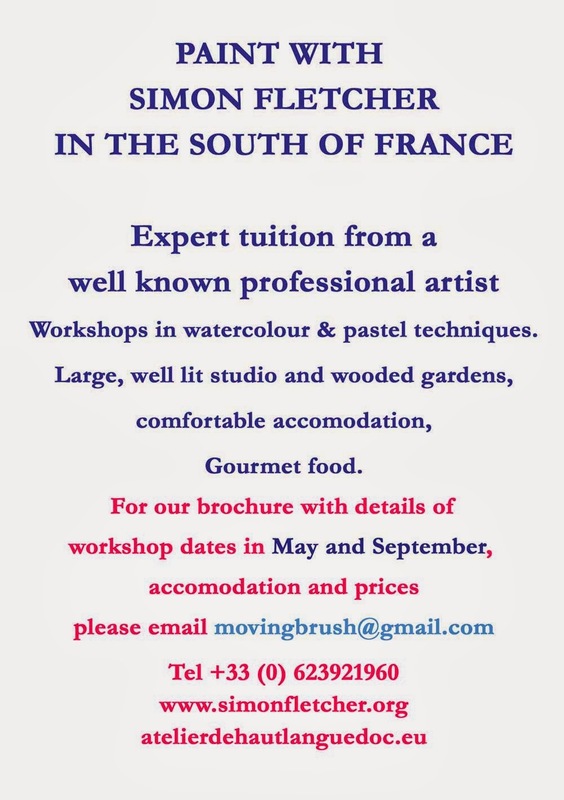 In 1982, the Fletchers moved to Southern France. Simon’s expectation of a receptive and appreciative environment for an artist was well placed. Even the warmer climate facilitated his vibrant palette. However, fantastic technique alone – such as that of van Gogh- cannot guarantee sales. Especially in a poor region like the Midi. So, Simon began exhibiting in Germany. But, business sense doesn’t stop with a change of clientele. Simon then questioned the success of some German contemporaries over others. He discovered a recurring trend amongst the more prominent artists: giving seminars, intensive workshops and publishing books. In that place, at that time, these inspired confidence in a client. Today, Simon has over ten books to his name. 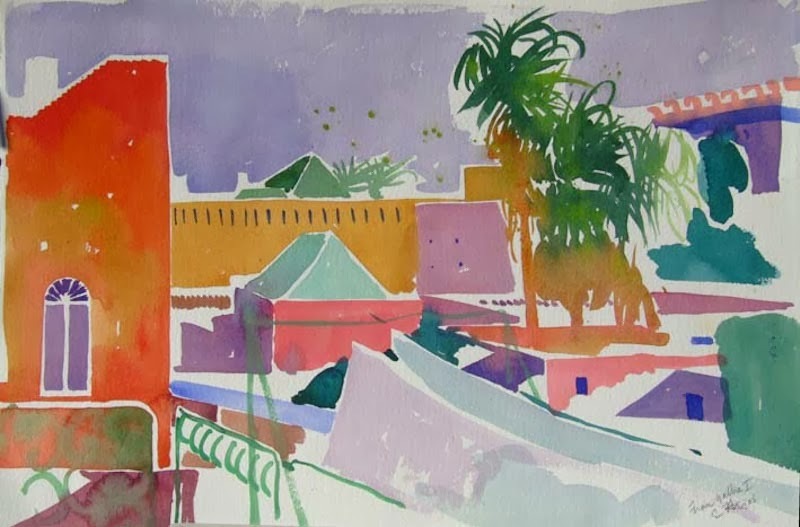 His paintings are published online with The Bridgeman Art Library - the world’s leading specialists in the distribution of fine art, cultural and historical media for reproduction. And so, high quality prints of his work are readily available to an international market of over 30,000. With a Seawhite of Brighton sketchbook always close to hand, Simon firmly believes in drawing daily. By putting pencil to paper an artist can achieve something of paramount importance ‘for any human being: to learn about the world.’ Simon illustrated this with words; tree; baby; glass. With each spoken an image would instantaneously appear in my mind. ‘Memory recall.’ The majority of us can do that. With perseverance, disicpline and determination we all have the ability to draw well. We just have to keep trying until it looks ‘right’. Have you been told ‘It’s not what you know, but who you know’? I expect so. Simon is a member of the exclusive Chelsea Arts Club. But that cannot guarantee success, instead artists must diligently nurture their friendships as well as relationships with patrons. Because, ‘the reality of an artist’s life, if they are any good, is a lot of time alone with themselves trying to find inspiration in the face of indifference’. I’m not suggesting you must immediately scan your address book in search of a proposer and seconder… but do remain sociable. Facebook won’t always cut it. For many years, Simon and the German sculptor Carl Constantin Weber have been exchanging recipes in their letters. To be an artist, having wealthy parents or knowing someone’s friend’s second cousin will not suffice in the long run. Like other professions, the art world requires one to give and take in equal measure. So, to thank Simon and Julie for their time, I posed as a hand model for Simon's forthcoming book. And I fully intend to continue putting into practise their advice.